Passionate about growing businesses, Helen has been assisting CXO level executives of both national and international SME’s to shape their business, implement growth and build lasting infrastructure. 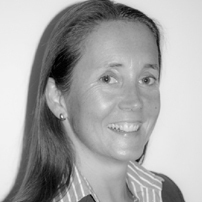 With her team Helen is also skilled in bring the best talent to her clients. From early on, Helen’s father taught her that it was up to her to take control of her life, and build a life that she was not only proud of, but that inspired and delighted her. At 25, Helen took up the challenge, and started her own business in Ireland. Helen will be the first person to tell you that setting up a business is not easy, and that you need both passion and a big why to help you overcome the obstacles in your way. Helen followed her own passions, and built her business on that foundation. In just over twelve months after starting her business, she had made one million pounds, and then went on to grow from strength to strength. Since then, she has assisted many of the world’s leading investment banks, and other Fortune 500 companies, and has coached, mentored, trained and supported many people in SME’s across the globe. Helen Roberts is many things – she is an inspirational speaker at live events, an action-oriented coach, and a generous mentor – but above all, she is someone who believes in each person’s potential to change their life, and be the best they can be. Whether you are a micro business just starting out, an already established company that needs help, or a company looking to take that next step, Helen will take you by the hand, give you guidance and the right tools to help you grow. She has collaborated with the likes of StartUp Britain, and her local MP’s, Zack Goldsmith and Mary Macleod, to help provide a platform for SME’s to grow.